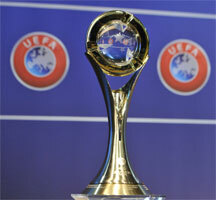 A total of 23 nations have entered the first UEFA Women's Futsal EURO, with the qualifying draw at 13:30CET on 5 July. A total of 23 nations have entered the first UEFA Women's Futsal EURO and all will be involved in the qualifying draw at 13:30CET on 5 July. Last year UEFA announced the launch of its first women's futsal competition for national teams, to be held every two years with initially a four-team knockout final tournament. That will be held in mid-February 2019, to be hosted by one of the four eventual qualifiers. The entrants include Northern Ireland, taking part in their first international futsal tournament for men or women. The exact format for qualifying, which will consist of preliminary and main rounds, will be confirmed ahead of the draw.